A list for teachers to hand out at the beginning of the year. 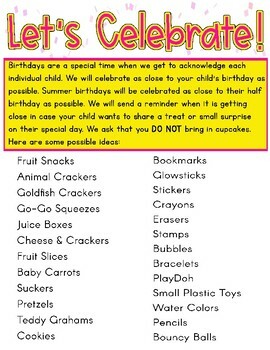 This has ideas for birthday goodies that children can share on their birthday besides cupcakes! Some of these are non-food items as well.